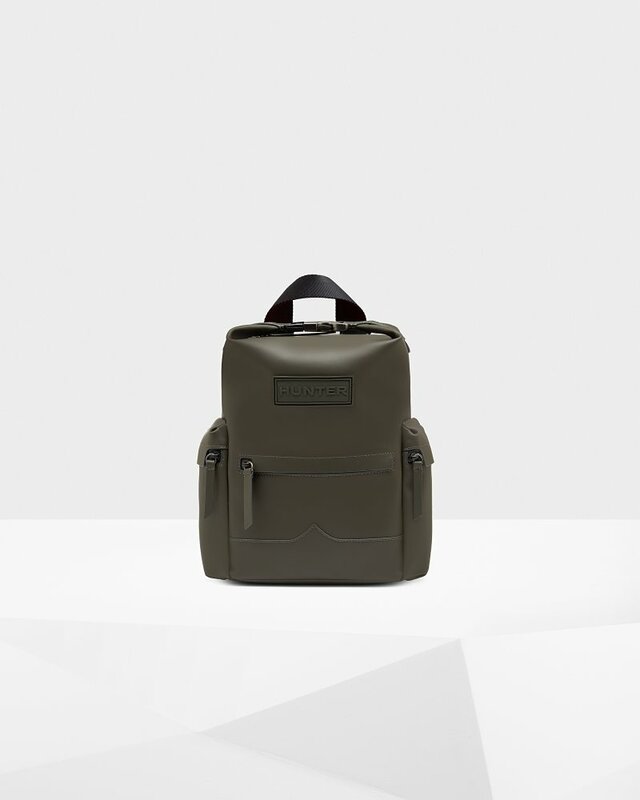 A practical, weatherproof backpack crafted from water-resistant rubberized leather finished in dark green. The neat and compact body of the bag fits an 11" tablet and is secured with a parachute clip and zip at the top, while the moustache detail at the front references our iconic Original Tall Rain Boot. A 7.5cm depth and 6L capacity ensures there is plenty of room for everyday essentials.